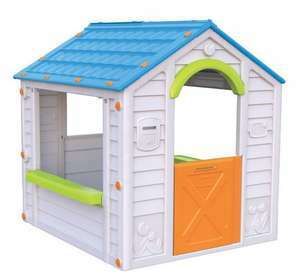 On Mon 18th there were two of these keter holiday plastic playhouse on a shelf in the garden area. boxes suffering from outdoor damage but both looked intact and unopened. Agreed - I was hoping for tickets to Florida during the Easter Holidays for a fiva. 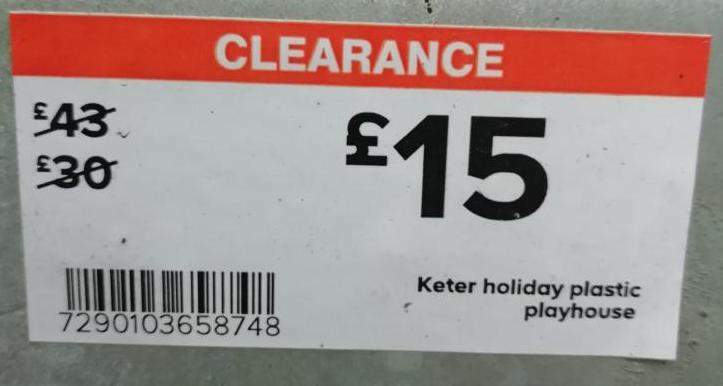 I drove passed this Homebase yesterday and it looked shut to me. These are very poor quality. I’d avoid. Agreed - I was hoping for tickets to Florida during the Easter Holidays …Agreed - I was hoping for tickets to Florida during the Easter Holidays for a fiva.Alas it's Homebase - I drove passed this Homebase yesterday and it looked shut to me. The one on London Road is shut there is another just off the M40 Junction.